What do childhood cancer researchers do when they see a problem? They band together to solve it. Read on to learn why institutions across Texas and California are joining forces and what they’re doing to help kids with cancer. 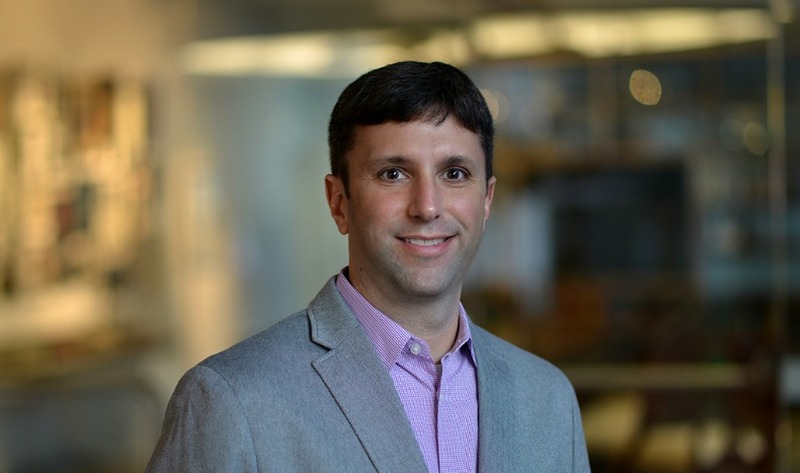 Dr. Philip Lupo is the principal investigator of the REDIAL Consortium, as well as an Associate Professor of Pediatrics at Baylor College of Medicine and Co-Director of the Epidemiology Program at Texas Children’s Cancer and Hematology Centers. Years ago, St. Baldrick’s researcher Dr. Philip Lupo and his colleagues at Houston’s Baylor College of Medicine noticed a problem. According to studies they read and stories Dr. Lupo heard from clinicians, kids who are Hispanic don’t do as well on treatment as other kids with acute leukemias. They are more likely to experience complications and are at higher risk of relapse than kids of other backgrounds. But scientists don’t know exactly why that is. “Being that Texas is a state that is characterized by a large and growing Hispanic population, and since these children haven’t traditionally been included in several clinical trials, we were convinced that this was the time to initiate a study that would focus primarily on these individuals — not only collecting information about their therapy, but also collecting samples for biological studies,” Dr. Lupo said. Alma, a nurse at the Vannie E. Cook Jr. Children’s Cancer and Hematology Clinic in McAllen, Texas, laughs with Leidy, a patient there. 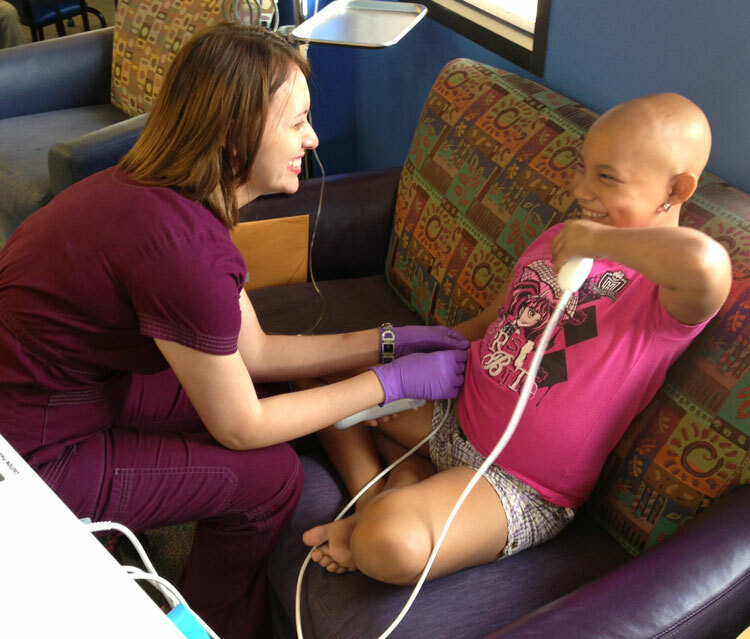 The Vannie Cook Clinic is part of the REDIAL Consortium and also now offers access to clinical trials for kids who might not otherwise receive cutting edge care. That’s when the Reducing Ethnic Disparities in Acute Leukemia (REDIAL) Consortium was born. This network of institutions aims to get to the root of that problem together – with a little help from a St. Baldrick’s Consortium Grant. The consortium is focusing on recruiting kids with acute myeloid leukemia and acute lymphoblastic leukemia from both urban and rural institutions across Texas and in California. With seven institutions participating, it’s truly a large-scale, collaborative effort to collect as much information as possible. When a patient comes into one of the participating hospitals or clinics and agrees to take part in the study, they’ll answer questions and provide a blood sample. Then the information is shared with the entire consortium. “We’re really trying to cast a big net, because we recognize that if this is going to be done it has to be done in a big way,” he said. Eventually, Dr. Lupo hopes the information and the consortium’s findings will help doctors predict which children with acute leukemia are more likely to have a tough time in treatment or have a higher chance of relapsing later. Then doctors can change the kids’ treatment to give them the best chance at a long, healthy life. The REDIAL Consortium includes Texas Children’s Cancer and Hematology Centers and Baylor College of Medicine, Children’s Hospital of San Antonio, Children’s UT Southwestern, Cook Children’s, Texas Tech University Health Sciences Center, Vannie E. Cook Jr. Children’s Cancer and Hematology Clinic, and Children’s Hospital of Orange County. But this research isn’t just beneficial to kids with cancer who are Hispanic. It can benefit all kids with cancer. Dr. Lupo and his colleagues had been thinking about how to do this kind of research for years. In fact, they’d meet most every Friday morning to figure out how to make it happen. Now, thanks to St. Baldrick’s, the consortium is hiring research coordinators who will begin enrolling patients at each institution. With the St. Baldrick’s Consortium Grant, everything is finally coming together. You are the key to conquering kids’ cancer. Fund childhood cancer research like this today.